Summer is finally here! For many Filipinos this is a time to get together and bond with friends and family. 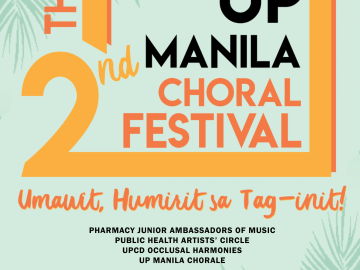 Like most Pinoys, we absolutely love to sing at these gatherings, and why not? All you need are some drinks, your favorite chichirya, a karaoke (aka videoke) machine, and you are all set for a night of fun, food, and music. Even if you’re not the singing type, a bottle or two of San Mig Light should loosen the tension and boost your confidence. If you haven’t been keeping up with the latest technology trends, choosing a good karaoke machine may be a challenge – not to mention the lack of knowledge in buying anything is risky. 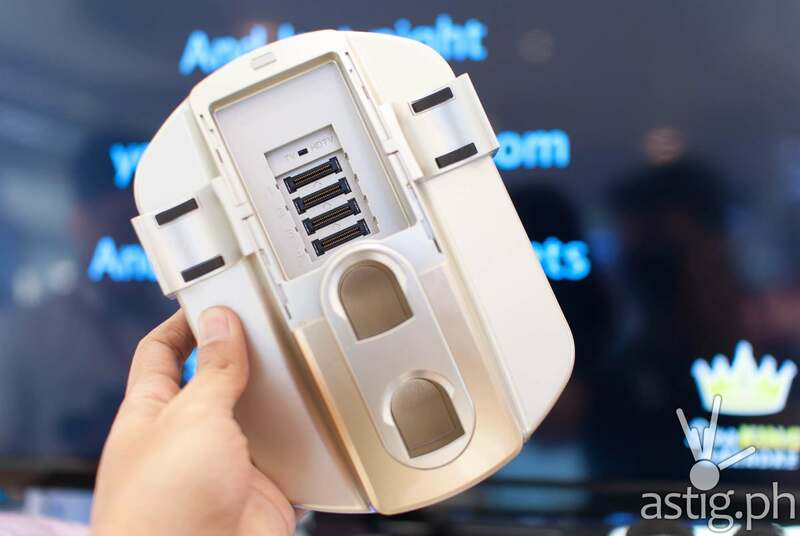 Those things have evolved over the years, and let’s face it – getting or replacing one can be a wallet-stretching exercise. The worst thing that could happen is for you to spend your hard-earned cash on something that would only end up gathering dust in your home. 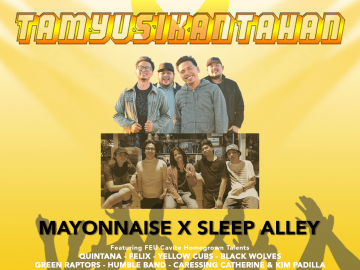 So, we went on a mission and visited appliance and music stores in Metro Manila to see what’s out there and do the research work for you. We wanted to create a guide to help you choose a system that gives the best value for your money and prevent buyer’s remorse. 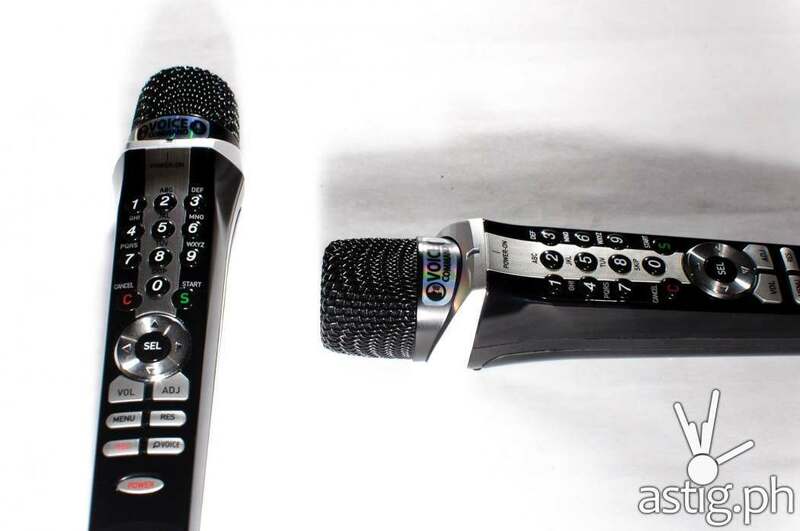 We narrowed the list down to seven of the most critical factors to consider before buying a new karaoke system. Click play to watch the video below, or scroll forward to read the rest of the article. 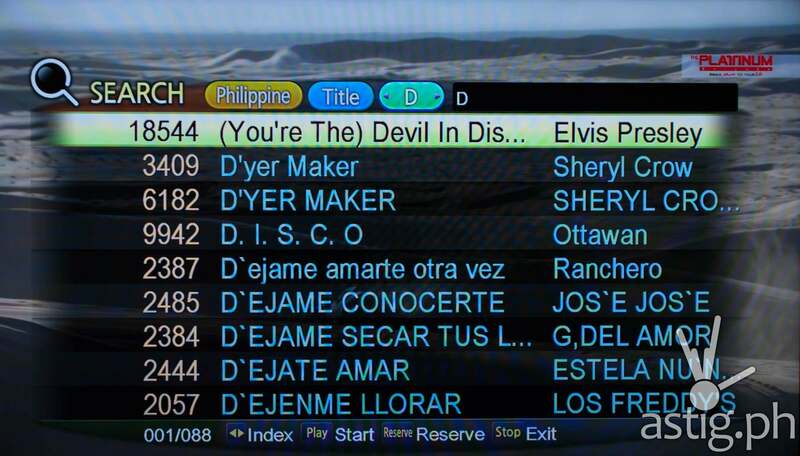 If we were to narrow it down to a single criterion for choosing a karaoke system, it would be this. For this category, we compared the song lists of three brands: the Platinum Karaoke, Xtreme Magic Sing, and the Grand Videoke, which we reviewed last year. 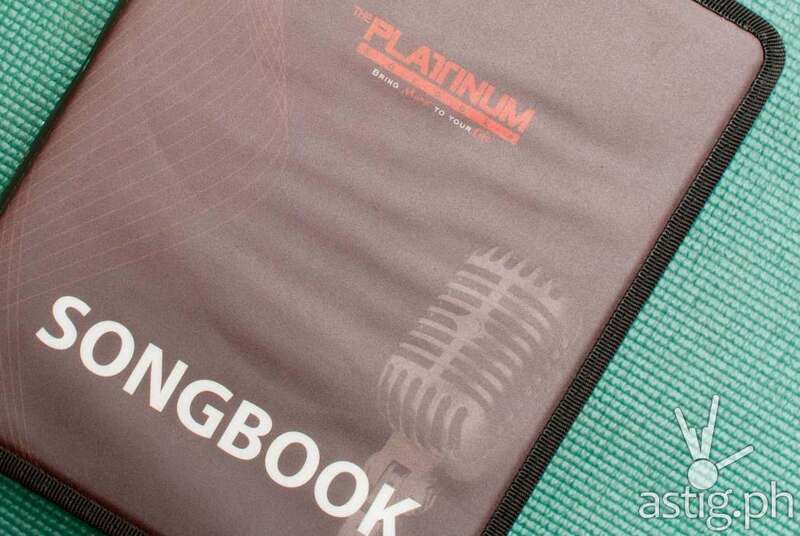 Platinum boasts a repertoire of 17,056 OPM and English songs. Xtreme Magic Sing’s newest systems contain over 5,145 songs. Grand Videoke, meanwhile, proudly lists 6,110 manually-selected songs with no duplicates and no “public domain” songs. Though the Platinum Alpha contains the biggest selection of songs, many of these appear to be duplicated. Some of these duplicates, like “Bring Me To Life” by Evanescence, appear four or five times and sound almost exactly the same. Platinum and Xtreme both contain the public domain song “Happy Birthday To You”, and the Platinum has three different versions of that same song. The song list varies from system to system, and some of the newest songs can only be found in expansion chips. Look for a system that contains the songs you like to sing. Choose quality over quantity. Watch out for foreign songs that do nothing more than pad the song list. Platinum Alpha claims to have over 17000 English and OPM songs … are these foreign language songs included in the count? The Platinum Karaoke contained what appeared to be French and Spanish songs. Look out for Chinese, K-Pop, J-Pop songs too, unless you are into those things. 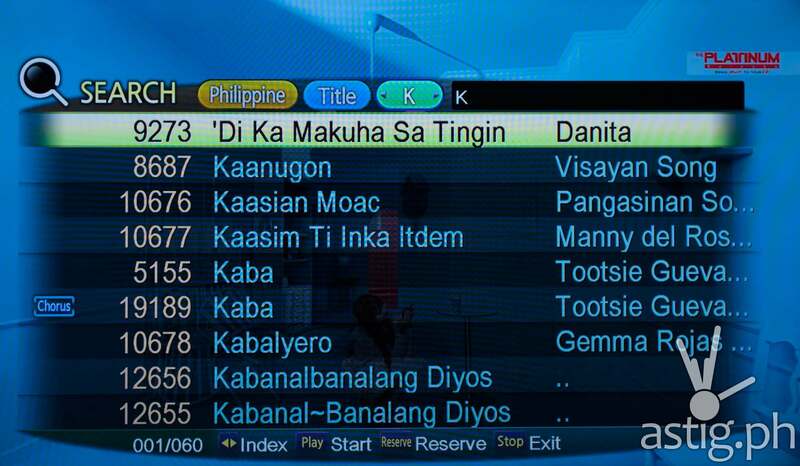 Some karaoke units also feature songs from other Philippine dialects like Ilokano, Bisaya, and Pangasinan. Now that you’ve seen the song list, you should try to listen and audition the songs yourself. MIDI tracks are used by most karaoke machines, but they tend to sound unnatural. This is because MIDI sequences are not actual recordings but rather a set of instructions telling digital synthesizers the sequence of notes to play, the speed, and the instrument to be used. Imagine telling an electronic piano what keys to press, which is what they were designed for in the first place. Look for a system that contains songs recorded using real instruments. It is important that these songs do not include any vocals except for those coming from backup singers. The point of karaoke is for you to be the one to do the singing. 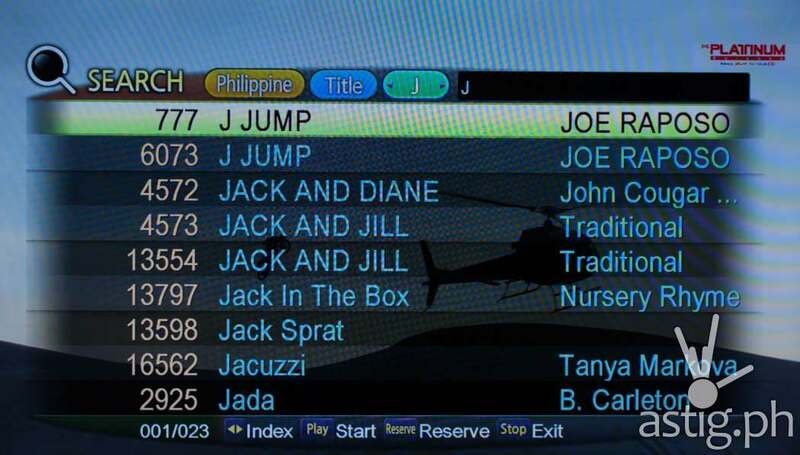 Watch out for MTV recordings. The videos may be nice to watch, but you can’t usually turn off the main vocals. If you are just going to sing along a music video, you can simply open television or fire up YouTube. 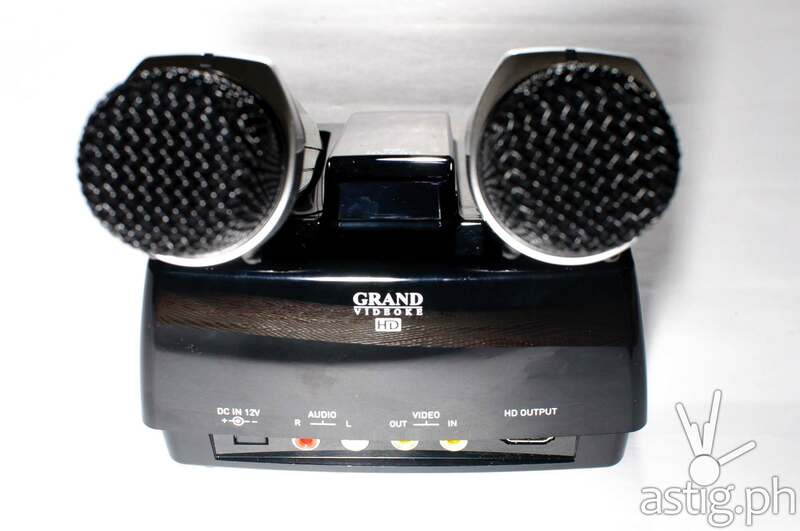 Systems like the Grand Videoke boast other formats in addition to high definition audio recordings. Multiplex lets you turn the main vocals on and off, while medleys combine two or more famous songs one after the other like “I Will Survive”, “Sway”, and “Livin’ La Vida Loca”. 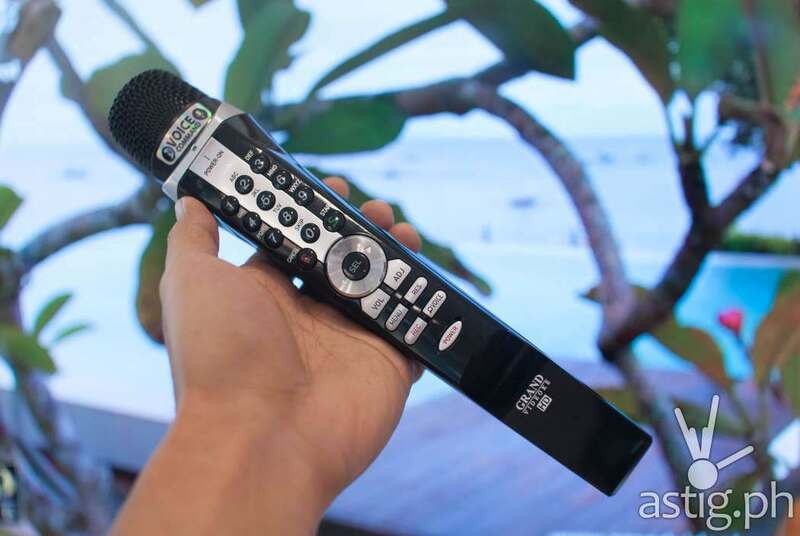 Like your television or home entertainment system, a karaoke system is a long-term investment that should last at least 5-10 years, depending on how frequently you use it. It is also a seasonal piece of equipment, one that you may want to bring with you to the beach in the summer, or when you visit your lolo and lola during Christmas. 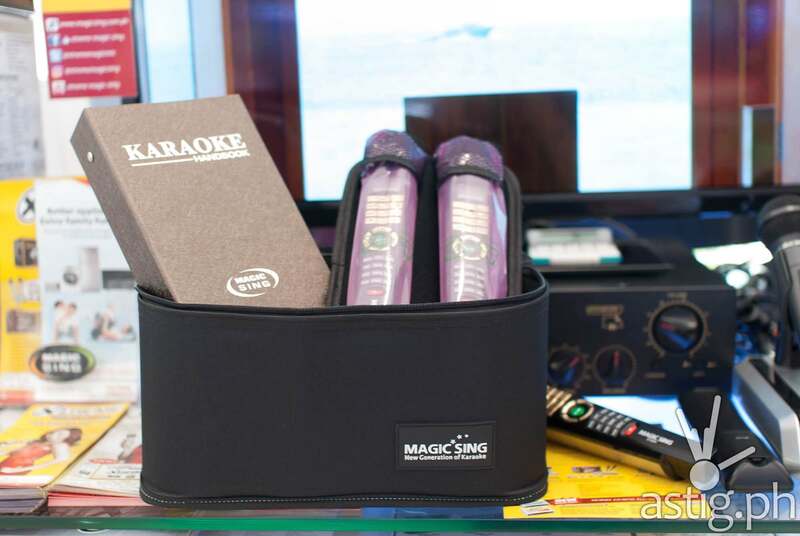 Look for a karaoke system that is durable and portable. Unless you are running a business, avoid cabinet-type machines that come with a television screen and speakers. 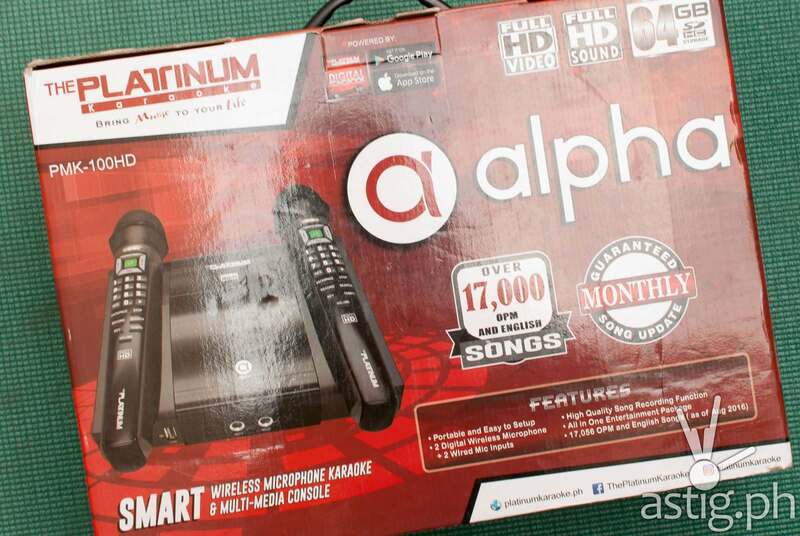 We compared three flagships: Platinum Alpha, Grand Videoke Symphony 2.0 Plus, and the Xtreme Magic Sing Diamond HD. The Xtreme Diamond looks and feels like it was made out of cheap plastic, while the Platinum Alpha looks like it was assembled using parts made by different companies. 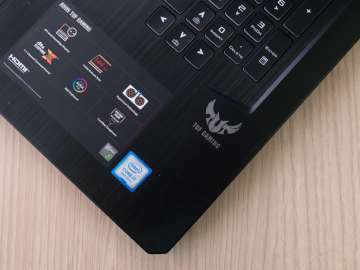 The base of the Alpha is a combination of glossy and matte black plastic, while the microphone uses gray and glossy black plastic. They do not match at all. 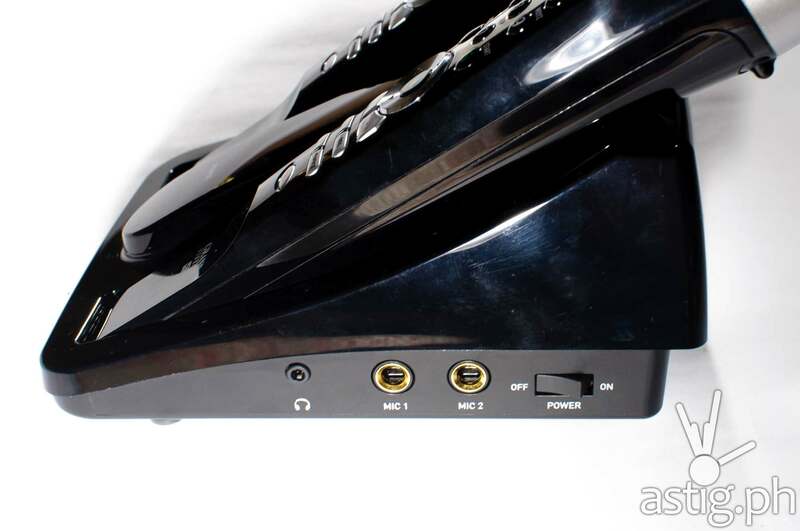 The design of the base appears to be generic so that the microphone rests on top of the unit but it doesn’t feel very secure. The Alpha comes with 17,000 songs, so it’s no surprise that the songbook is big and heavy. The songbook also shows a bunch of ads, which can be distracting. 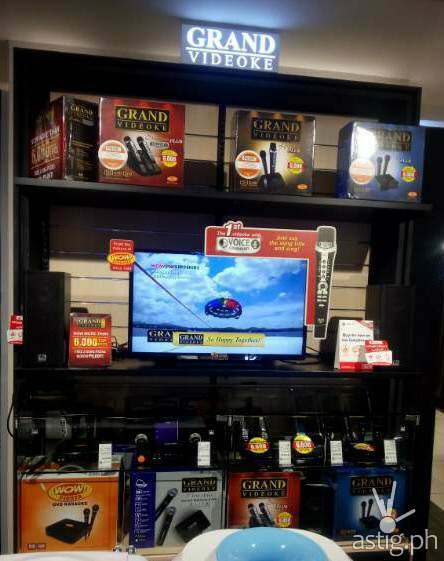 Of the three, the Grand Videoke Symphony looks way ahead in terms of product design. 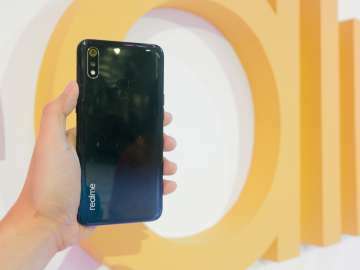 The base and the microphone are made of sleek, polished material, like a jet black iPhone 7 Plus. The microphone of the Grand Videoke rests securely on top of the base. 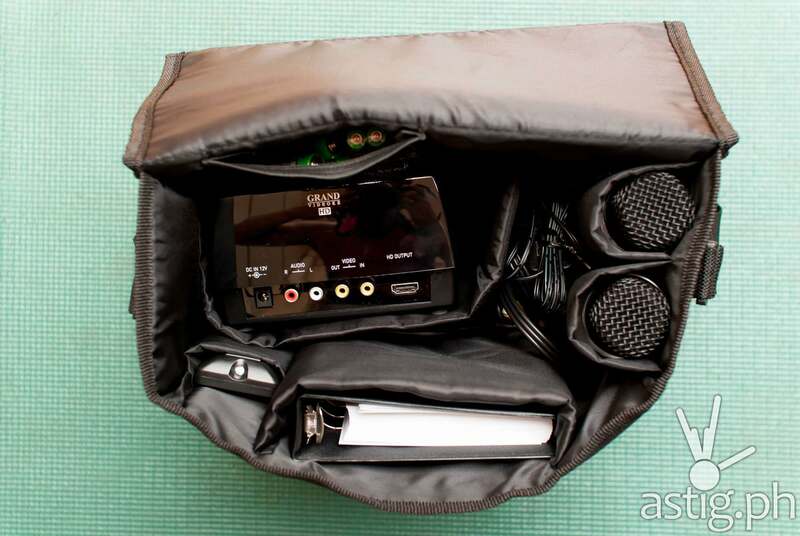 The ring-bound songbook is clean and ad-free, and everything is tucked away securely in a lightweight bag made of fabric. 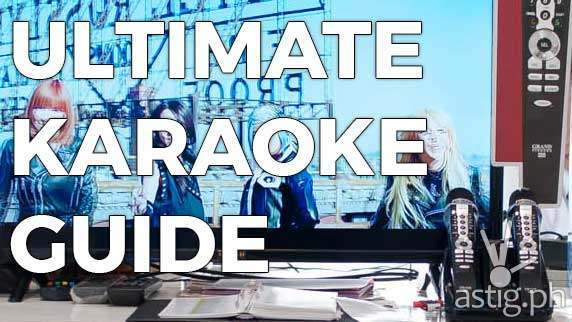 Unless you are the type who goes to a karaoke session just to eat the pulutan, you will be spending quite a bit of time and effort searching for a song to sing. The traditional method of scanning a song book can take a while. Look for a system that lets you search by title or artist using an on-screen interface. 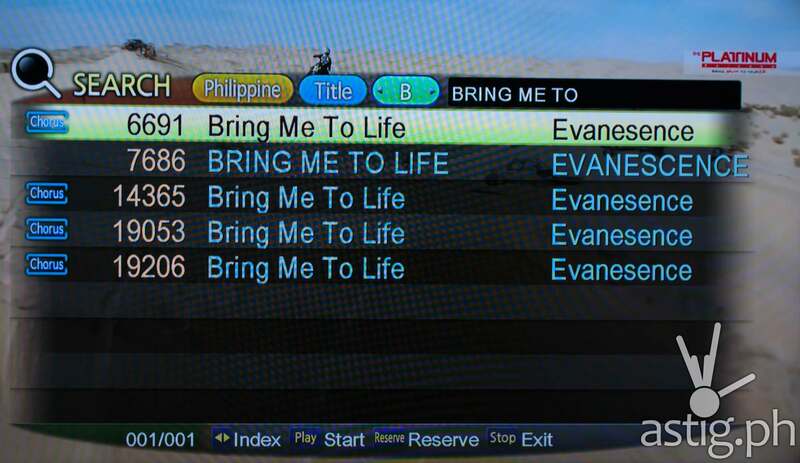 Some new systems will even let you search using the song’s lyrics. Very useful if you don’t know the title or the name of the artist. The Grand Videoke lets you search for a song and control the system using your voice. Simply speak the title or the name of the artist and use keywords to instruct the system to reserve or play a song. 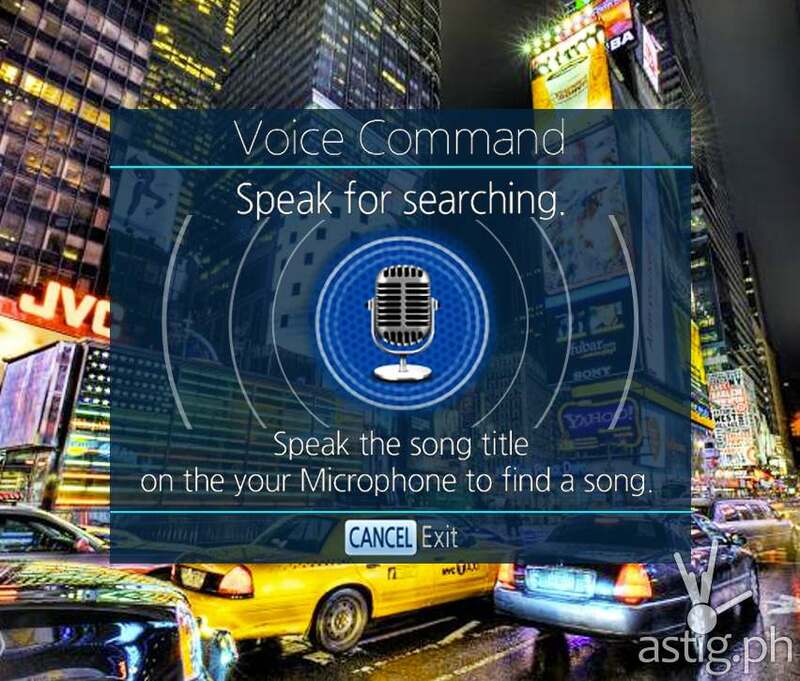 Xtreme Magic Sing also supports voice search, but you need to download and install a smartphone application to do that. For the average Pinoy, microphone quality doesn’t really matter. 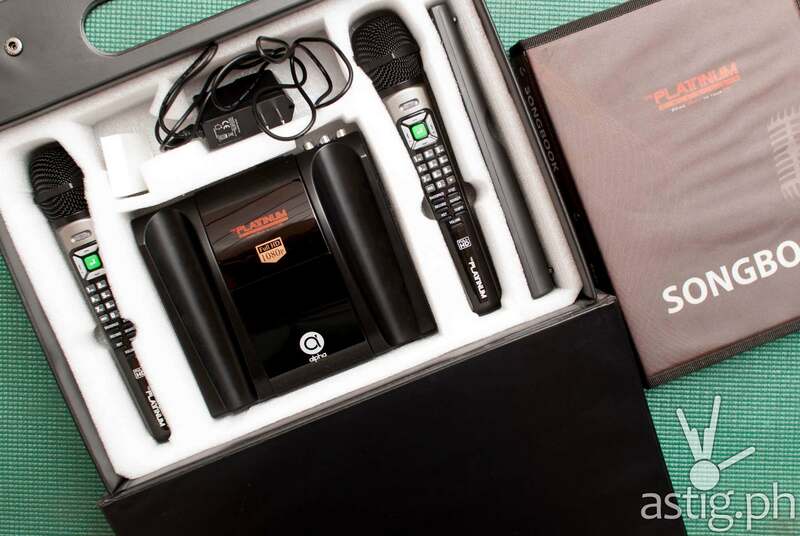 This is why we can get away with a cheap knock-off or an unbranded 500-peso microphone. It can be a tin can for all we care, as long we can sing to it. But if you’re investing good money on a new karaoke system, we thought it might be worth spending at least five minutes to check the voice quality. Look for a microphone that reproduces your voice as clearly and as transparently as possible, without any distortion. Also, look for the ability to control microphone volume and echo levels. Make sure you have at least one wireless microphone so you can move around and sing to Parokya ni Edgar’s “Picha Pie” while making dinner from your kitchen. Watch out for audible hisses, pops, electric noise, and loud feedback – like when you move the mic close to the speakers. 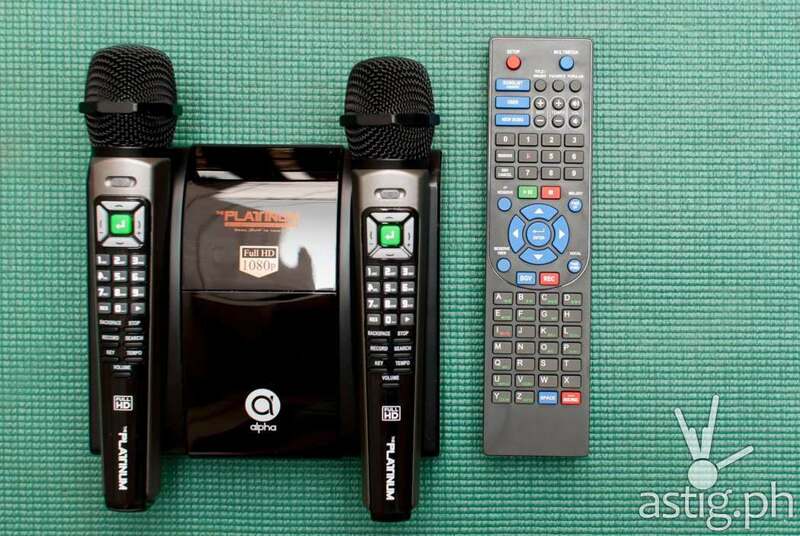 Speaking of wireless microphones, the Platinum Alpha and Xtreme Magic Sing both use digital microphones, while the Grand Videoke uses analog ones. We will not be covering the differences between digital and analog microphones – there are plenty of resources on that topic. Suffice to say, digital microphones rarely experience noise and static, while analog microphones have almost zero latency. Unless your name is Sarah Geronimo, this distinction should not matter. Personally, we prefer digital microphones due to the cleanliness of the sound, but we advise you try the microphones yourself and observe the sound quality, noise, and distortion. By now you should have enough information to make an informed purchase. Let’s move on to value-added features that are nice to have, in case you have the extra budget. Look for a system that can guide and score your singing. Systems like the Grand Videoke will change the color of the lyrics as a signal that you are singing in tune. 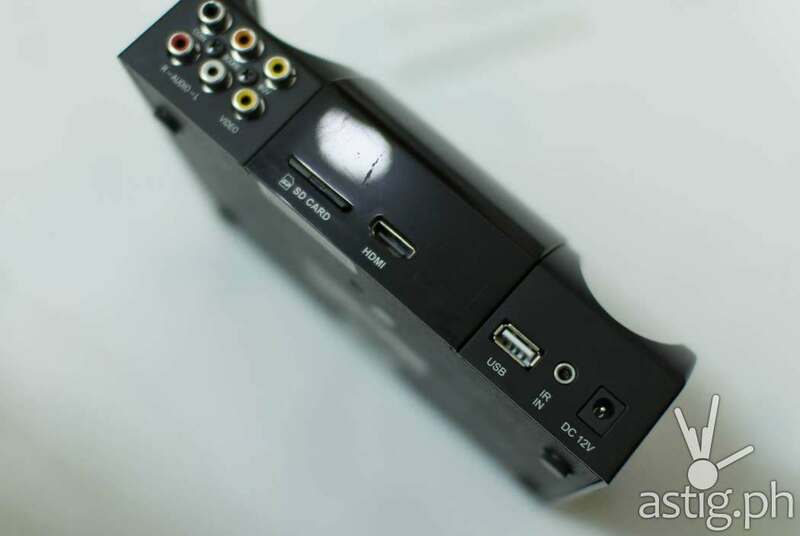 HDMI output is also important since it allows your karaoke machine to communicate with your display module using digital signals rather than analog signals. This prevents noise and distortion, resulting in a clean audio-visual output. 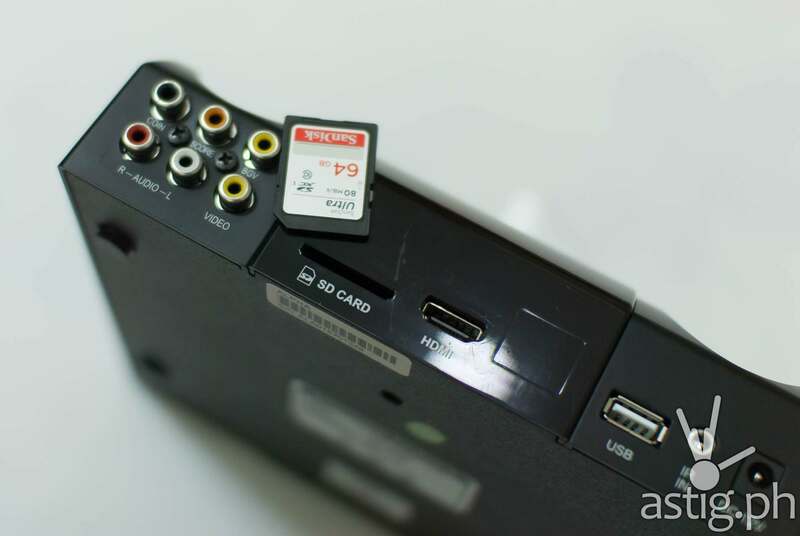 Do note, however, that HDMI induces noticeable latency in certain units, like the Grand Videoke. If this bothers you, simply revert to analog connection via RCA cable. Watch out for systems that rely on CD or USB as its primary source of music. We had considerable difficulty getting a 3-month old Platinum Alpha to work because the songs are stored on an SD card, which the system had trouble reading. We had to keep removing and re-seating the drive before we finally got it to play. 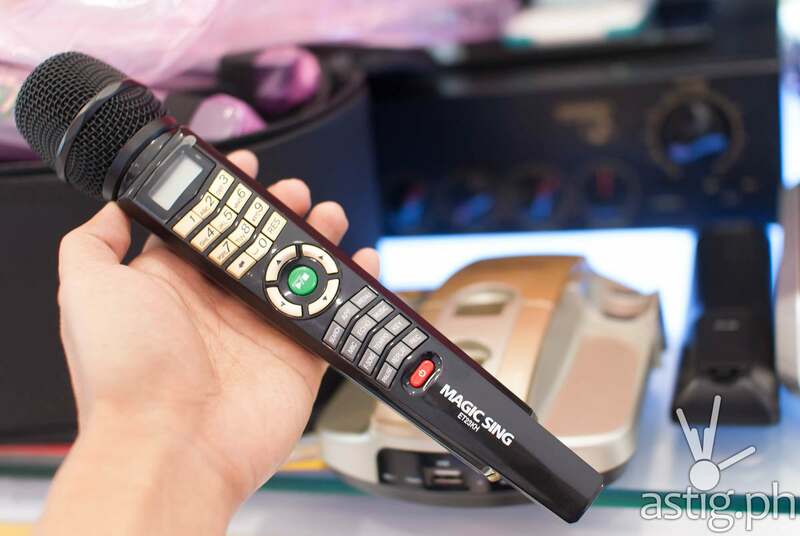 Xtreme Magic Sing also uses song chips, while Grand Videoke uses song transfer packs which you can copy to its internal memory. Internal memory rarely gets corrupted, so it’s really stable. Recording – Save a digital audio recording yourself singing cheesy Air Supply songs which you can then give to your crush as a mixtape. Multimedia playback – Play your *cough* legally *cough* downloaded songs and shows on your system. 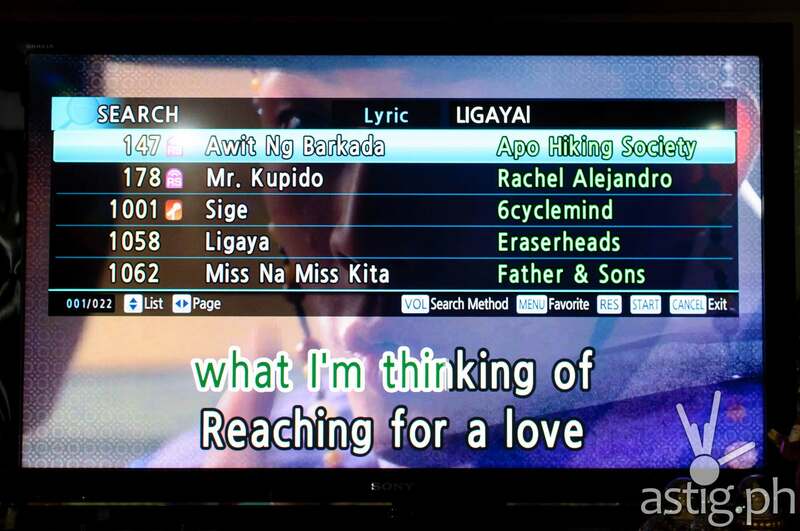 Some systems, like the Grand Videoke, allow you to use your own videos while singing in addition to the built-in videos. 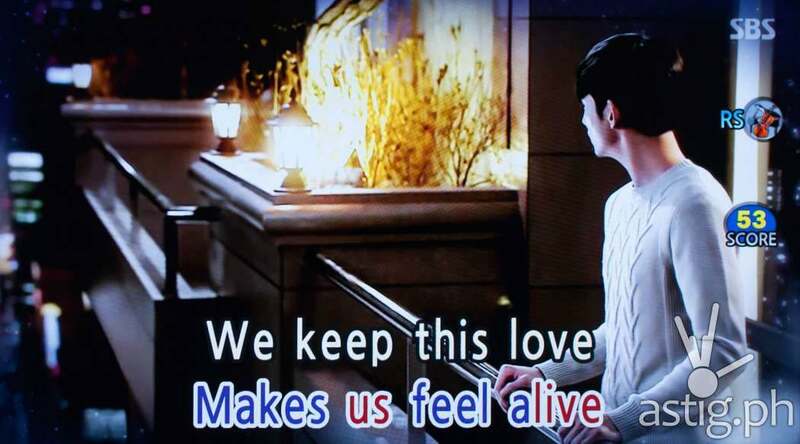 Imagine yourself singing “A Very Special Love” while Sarah Geronimo and John Lloyd Cruz are making goo-goo eyes at each other in the background. Glorious. 3.5mm audio out – Sing your heart out to Tom Petty’s “Delilah” at 3 am without disturbing your neighbors! 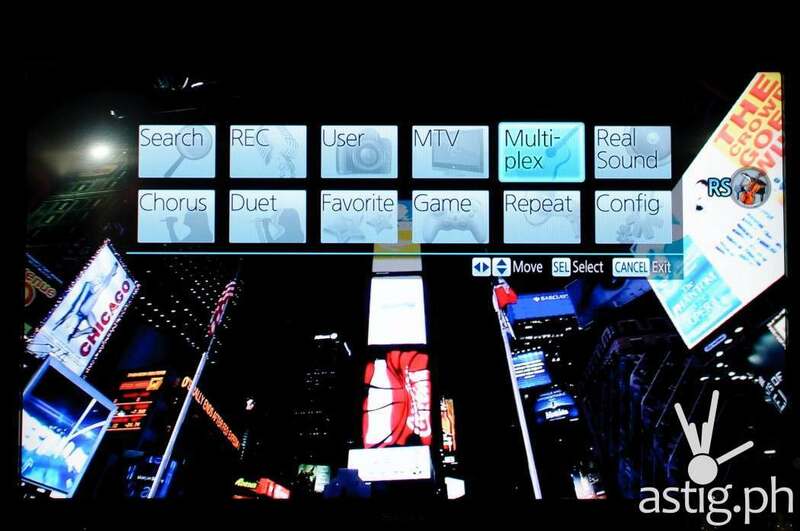 Mobile App – Newer systems from Wow Videoke Fiesta and Xtreme can be even controlled using a mobile application installed on your smartphone. Platinum’s mobile app does not let you control the system. It is merely a song database that you can search and nothing more. You may have the best karaoke system in the world but you won’t get the most out of your investment unless it is well supported by the manufacturer. Look for an established brand with accessible support centers, a brand that releases updates and song expansions on a regular basis. Grand Videoke is one of the pioneers in the Philippines, having been established in 1999 when it was still known as WOW! Magic Sing. 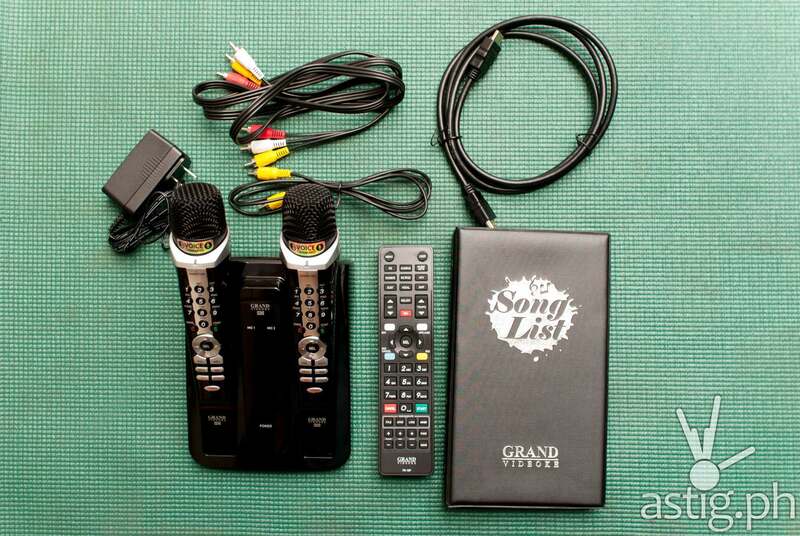 The Grand Videoke website is also very detailed and contained much more information compared to other brands. This really helped us with our research for this feature. Platinum is popular among KTV bar operators in the Philippines, and it is only recently that they started producing consumer-level products. 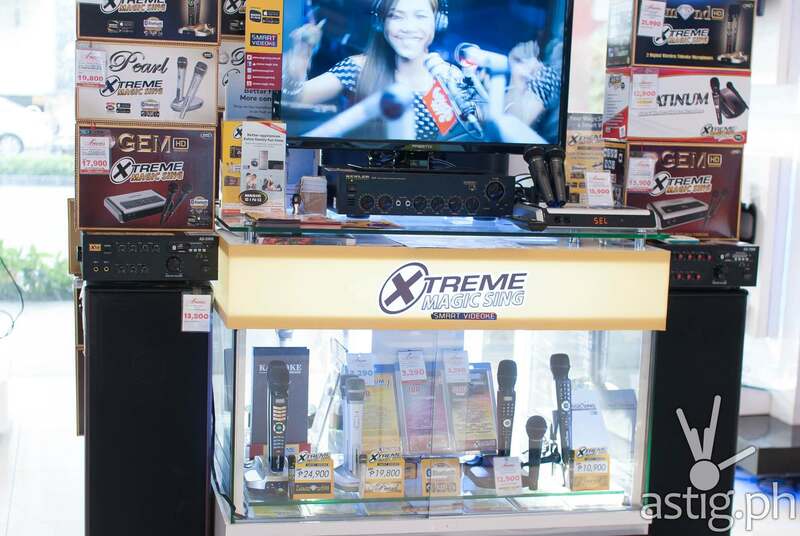 Grand Videoke and Xtreme Magic Sing both consistently release song expansion packs every year, and both brands have numerous support centers all over the Philippines. Watch out for obscure brands that do not have physical offices. 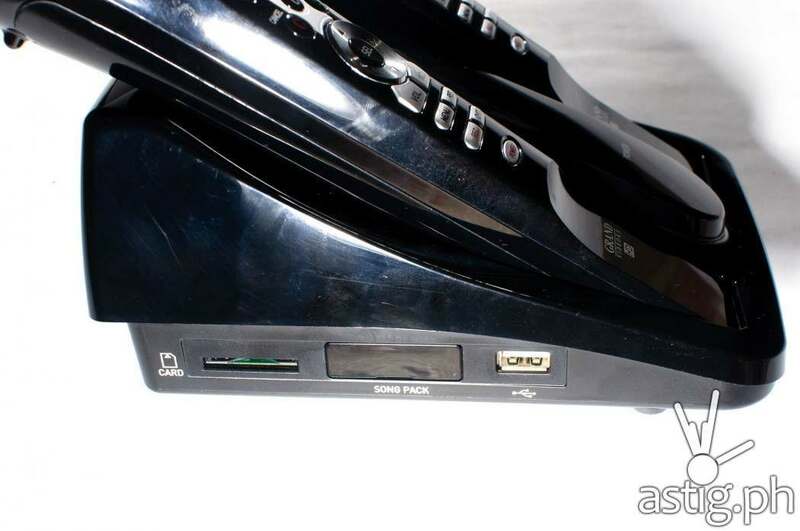 That cheap karaoke player on OLX may be tempting, but can you run after the seller when it stops working in a week? 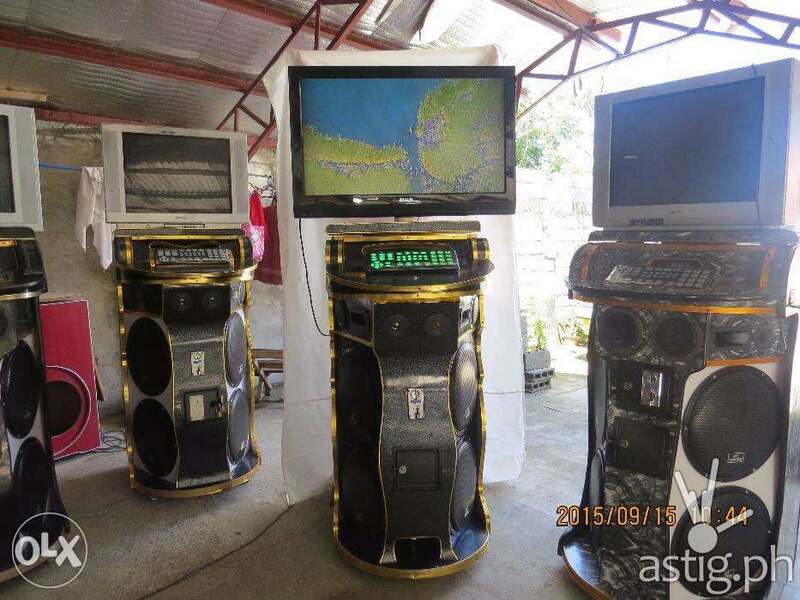 Among the three, Grand Videoke is easiest to find. It is in almost every appliance and music store that we went to. 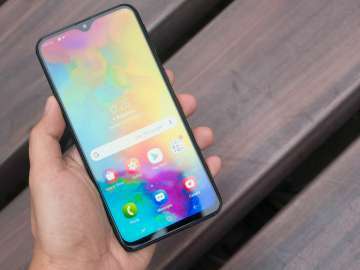 You can even buy it online through their website or through Lazada. Xtreme Magic Sing was much harder to find. We went to Automatic Center, Odyssey, and Abenson in Makati and they did not have it. We finally found the Xtreme Magic Sing at Anson’s. Platinum was the most difficult of the three. Our unit came from SM Department Store, which appears to be the only place where you can buy it. So there you have it, seven of the most important factors to consider when choosing a new karaoke system. We hope you find this helpful in getting the most bang out of your hard-earned pesos. Do you agree with the things we listed? Do you own a karaoke system? What brand are you using? What do you like about that brand? What do you not like about it? Share your karaoke tip by leaving it in the comments section!